Born and raised in Montreal, QC, Jill started dancing at age of four. She received her formal training (ballet & modern) at l'Académie de Danse Classique under the instruction of Renee Rouleau (former professional ballerina with The Royal Ballet in England alongside Margot Fonteyn & Rudolf Nureyev) & Linda Marchand. Jill was trained primarily in the Cechetti method of classical ballet where she completed exams and she was also exposed to Balanchine and Vaganova methods. Jill furthered her training by becoming a company member of Ballet Ouest de Montréal for 8 years and danced in many classical productions including The Nutcracker, Sleeping Beauty, Giselle, Cinderella, Les Sylphides, Firebird, Pineapple Poll and several original modern dance pieces. Jill's dance training was complemented by a wide variety of competitive sports including swimming, synchronized swimming, diving, gymnastics, figure skating, running and volleyball. Jill graduated from the Professional Theatre program at Montreal's CEGEP John Abbott, where she had the opportunity to act, sing and dance on-stage in a variety of theatrical styles. Jill has trained in other dance styles such as Irish dancing, Breakin' and Hip-Hop and continues to take classes and explore new styles. Jill continued her dance studies as an adult and became a certified teacher with the Royal Academy of Dance (RAD) in 2013. She trains and enters students for yearly RAD exams and has maintained a 100% pass rate. Jill purchased the studio in 2014 and re-vamped it as Canmore Dance Corps. She absolutely loves all aspects of teaching and performing and stages full-scale productions with her students and faculty every spring. Jill attends as many professional development seminars and workshops as she can each year and has become particularly interested in more holistic styles of dance & movement such as Gaga and The Five Rhythms. Jill loves a good cup of tea, playing the drums and spending time with her extremely supportive dance-studio husband and 8 year-old daughter. Born and raised in Calgary, AB, Amanda started dancing at age four. She trained at Calgary's premier studio, Drewitz Dance Productions, in ballet, jazz, lyrical, tap and musical theatre where RAD classical ballet training was a great focus. She was a member of her studio's elite competitive dance team where they competed in Canada and the US. After graduation, Amanda worked as a professional dancer for Carnival Cruise Lines where they traveled around North and South America. She had the opportunity to work with dancers and choreographers from all over the world, learn new styles and perform on-stage every night. Amanda has been teaching for nine years, specializing in Jazz, Lyrical and Tap. Amanda's technical expertise and award-winning choreography have greatly helped to develop our competitive dance team. Choreography is Amanda's favorite aspect of teaching and she is dedicated to coming up with new and creative ideas each year to keep our dancers inspired, excited and current. 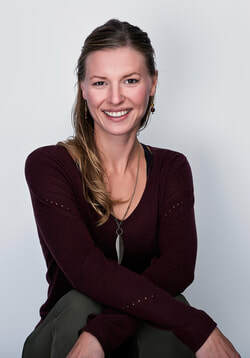 Amanda teaches at two other dance studios in Calgary, owns her own wedding planning company called Calgary Wedding Company, and, she has also recently become a certified Spin instructor with Hot Shop (Calgary). Amanda's continued commitment to our dancers is absolutely amazing and we are so thankful to have her! Amanda loves vacationing in Las Vegas and cleaning glue out of her dog's mischievous mouth. We are also convinced that she is well-versed in the realm of time-travel, which would explain how she is able to stay on top of her ridiculously busy schedule! Born and raised in Edmonton, AB, Vanessa started gymnastics and dance at age four. Vanessa was a member of Edmonton Rhythmic Gymnastics for 10 years where she traveled to many Provincial and National Gymnaestrada competitions as well as the World Gymnaestrada in Lisbon, Portugal. She is now a certified Acro teacher with Acrobatic Arts, a certified Yoga teacher and a registered massage therapist. Vanessa's knowledge of the human body and dedication and awareness of safe dance practice make her a valuable resource for our students. Vanessa loves to ski, create jewelry, hoop dance and designs custom hoola- hoops. Her newest line of hoola-hoops will actually transport the dancer into a parallel universe via a wormhole contained within the circumference of the hoop. Sean is a choreographer and dancer based out of Calgary, AB, Canada. Sean is the creator of VibeTribeYYC, and a founding member of theTOMORROWS dance crew. His knowledge of music and movement is a direct result of his training in Flavorshop, a world-wide motion of like-minded artists created and developed by Lenny Len (Toronto). Sean strives to affect artists and students alike, generating an enhanced understanding and mentality, as well as promoting growth and success through dance and music. Credits involve performing on Aboriginal People’s Choice Music Awards 2014 for INEZ JASPER, achieving 1st place at the 2014 Cowboys SYTYCD competition with theTOMORROWS, Choreography and performing with YUNG DRE at Stampede 2017, dancing for Commonwealth Bar and Stage’s monthly Hip Hop show: 10@10, back-up for INEZ JASPER at Indspire 2014, back-up choreography for local artists YUNG DRE, HAYDEN MCHUGH, MIKE TO, as well as various performances with One World, Masked Canvas, Mpact, and Downtown Calgary. Sean rocks sweats harder than Rocky Balboa and likes to beatbox in the shower. Born in Canmore, AB, Breanna spent her childhood figure skating and got into drama and singing in high school. She continued her musical studies and holds a Bachelor's degree in music from the University of Lethbridge and a Master's degree in music from the University of Western Ontario. Breanna is an accomplished soprano and has studied and performed many operatic roles across Canada and Europe. Breanna has taken many different styles of dance and movement classes and is a trained actress. She also teaches voice lessons to people of all ages and skill levels in the Bow Valley. Breanna can sing even the grumpiest of babies to sleep and has been known to shatter windows when rehearsing for techno-opera performances. Born and raised in Canmore, Katrina has been dancing with us since the wee age of four. She lives and breathes dance and would probably marry ballet if she could! Katrina is an accomplished dancer, having completed several high-level RAD ballet exams with great results and she has been a member of our competitive dance team since she was seven years old. She currently trains in ballet, jazz, lyrical, modern & contemporary and has also trained in acro and tap. Katrina is wise beyond her years and she is a prominent, passionate and reliable figure in our studio. Katrina became our assistant ballet teacher as a young teen and has been teaching on her own for the past two years. She is pursuing a career in dance and has studied at professional institutions such as the School of Alberta Ballet and Placement in Berlin, Germany. Katrina is honored and excited to share her passion and undying love for ballet with our students. Katrina has a white cat named Milkshake and can probably bench-press your dad. Madison was born and raised in Calgary where she trained in Ballet, Jazz, Lyrical & Tap. She found her passion for inspiring young dancers while teaching at Energize Dance Studios (Calgary) for eight years. She has recently completed her dance teacher training from both Acrobatic Arts and ADAPT. Madison developed and now runs her own program called 'Her Time 2 Shine' where she works with teenage girls to to help them discover their inner power. While attending a workshop in LA, she was introduced to elemental dancing that later connected her to the ecstatic dance community in Calgary. Madison has also spent time training with the members of the U of C dance faculty in the annual Dance Montage Production. Madison is excited to be continuing her journey through dance and to be inspiring other young, female performers. We are thrilled to have Madison join our teaching staff this season!